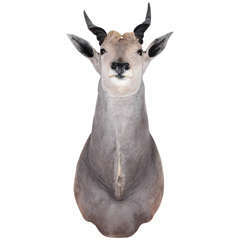 Premier quality shoulder mounts taxidermied Burchell's Zebra (Equus quagga burchellii) from South Africa. 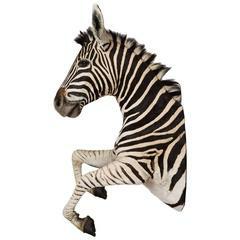 Burchell's zebra is a southern African subspecies of the plains zebra. It was named after the British explorer and naturalist William John Burchell. 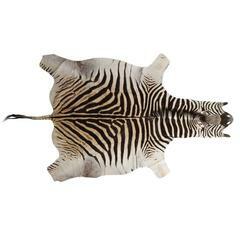 It is rare to find a Burchell's Zebra specimen of this quality. This Lady Amherst pheasant's mid-flight-pose is the perfect way to showcase all of those amazing feathers, it's a wonderful addition to any collection, perfect for town or country. 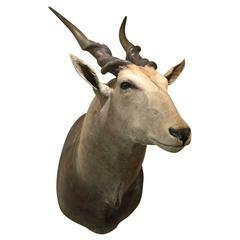 A wonderful example of a male taxidermy full mount South African Burchell's (Plains) Zebra: Equus Quagga, on ebonized stand. 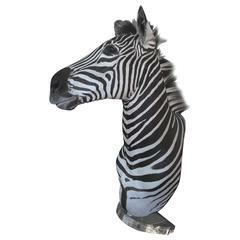 A 20th century taxidermy shoulder mount zebra, beautifully displayed on a Lucite shelf with wall mounting capability. A beautiful specimen. (We have two!! ).